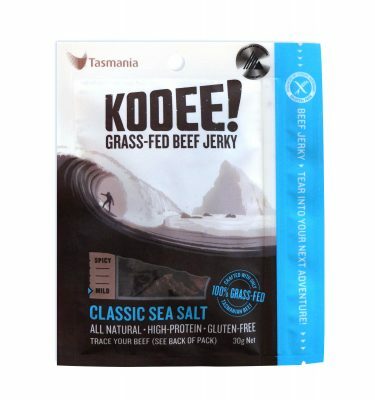 Looking for healthy beef jerky? You’ve come to the right place. 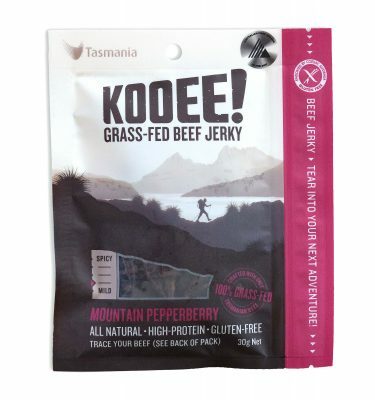 We’re laid back at KOOEE!, but we take our health seriously. We love healthy snacks. 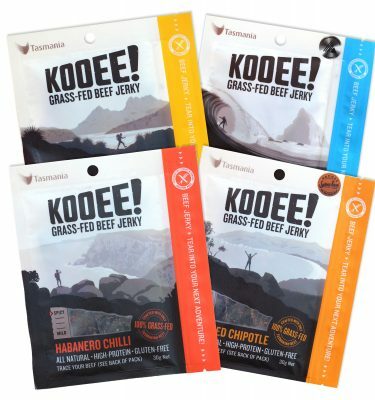 As lovers of the outdoors, we spent years searching for the perfect high-protein jerky to fuel our active lifestyles. But, it was hard to find quality beef jerky back in the bad old days of 2012. We discovered that the best products were home made, so we bought a dehydrator and started experimenting. We soon discovered that many people were looking for healthy snacks. So, we did the logical thing. 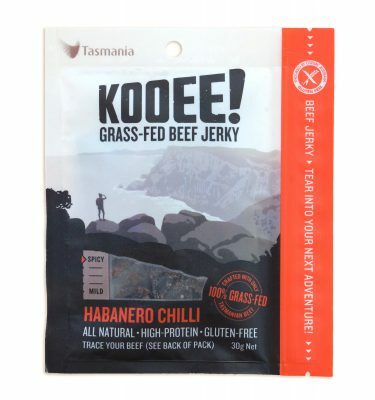 A factory was purchased in Tasmania, we ordered a tonne of beef, and we got busy. KOOEE! All Natural Snacks was born. Since 2015 we’ve been sending our products all over Australia. We craft KOOEE! 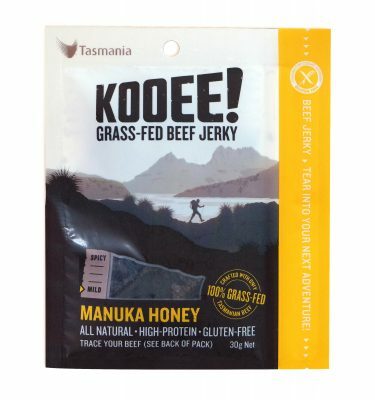 with 100% grass-fed beef, raised free range on the lush windswept farms of Tasmania. Inside there’s no gluten, no added sugar, and nothing artificial. 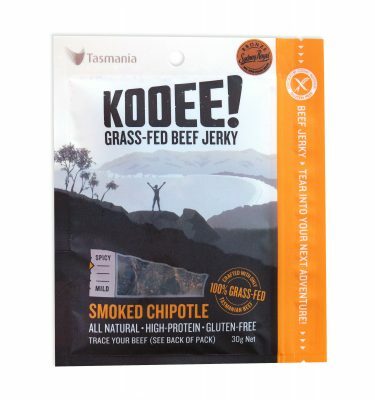 It’s just all natural beef jerky that is SUPER high in protein. So when your next adventure calls, make sure you answer with KOOEE!